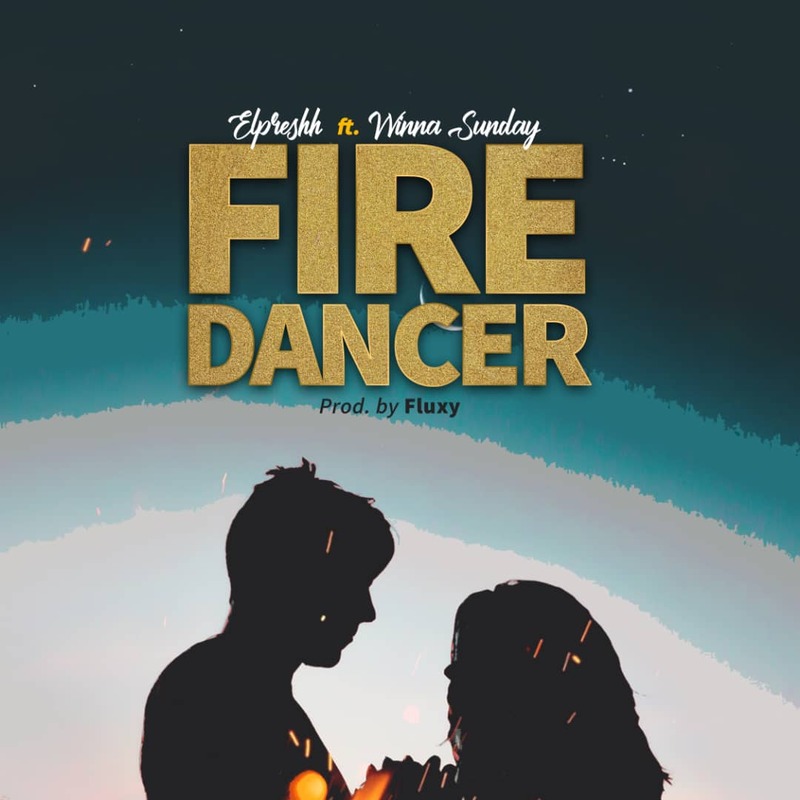 Fire Dancer is the first single from the talented upcoming artiste, Elpreshh. The song also got good vocals from Winna Sunday, another worthy sensation who is making waves. These two artistes did a great job on this song. Fire Dancer was produced by Fluxy. Download and Let it bang on your speakers. Zlatan Ibile has been a worthy sensation and talk of the street since his breakthrough year, 2018. He has been on many features since then and he is also the crooner of the popular dance step, Zanku Dance. Zlatan raps mainly with Yoruba language and is currently building a wide range of fan base at the moment. He is also a dancer and a performer. He became popularly known for his contribution to Chinko Ekun's "Able God". 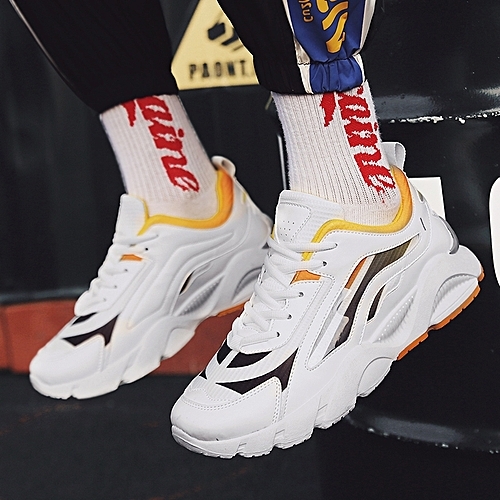 Get the New Catwalk ShowTide Sports Shoes. Click Here Turn off browser's Ad blocker to use link. Zlatan Ibile has an estimated net worth of $70,000. He made this money from his music and he is currently going to elevate it. He has become a popular and constant artist as he is unlocking new levels of his music career. He was born on November 28, 1995. Zlatan would be turning 24 in late November. This talented rapper's real name is Omoniyi Temidayo. He is a popular Nigerian rapper, songwriter and street sensation. He is known by his stage name, Zlatan Ibile or simply Zlatan. He was born and raised in Lagos State but hails from Osun State, Nigeria. The rapper is also a graduate. He acquired Business Administration degree from Moshood Abiola Polytechnic. Not much us known about the young and creative musician. Zlatan didn't actually know he was going to be doing music as a career. He said he started doing music in 2011 after his SSCE. According to Zlatan, he followed some of his friends to the studio when he had nothing doing at home and later got influenced by it. 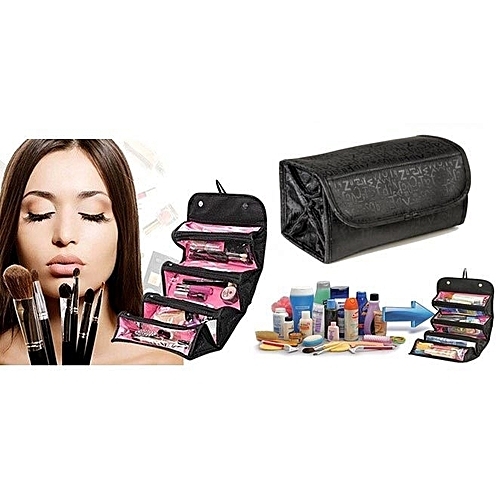 Get the Roll N Go cosmetic Makeup Bag. Click Here Turn off your browser's Ad blocker to use link. He was included in a rap song his friends did and his part was loved by people. Zlatan won a car when a rap competition was organized by Airtel in his Polytechnic. Zlatan Ibile has also been a winner of the One Mic Campus tour after he delivered an awesome performance at the talent hunt's grand finale which was sponsored by Airtel Nigeria. 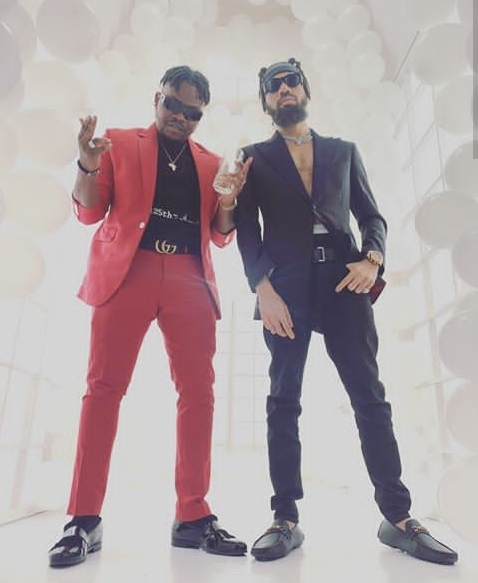 Zlatan achieved his first ton of fame when he did a song titled "Body" with Olamide . The song went viral after Davido danced to the song on a video that went across Instagram. His is also popularly known for his contributions to Chinko Ekun's "Able God" which also featured Lil Kesh. His part was loved and also known for the Zanku leg work. His single "Zanku(legwork)" was also a massive hit which was accompanied by the killing Zanku dance moves. The dance is most popular in the streets as it has become a normal gyration. 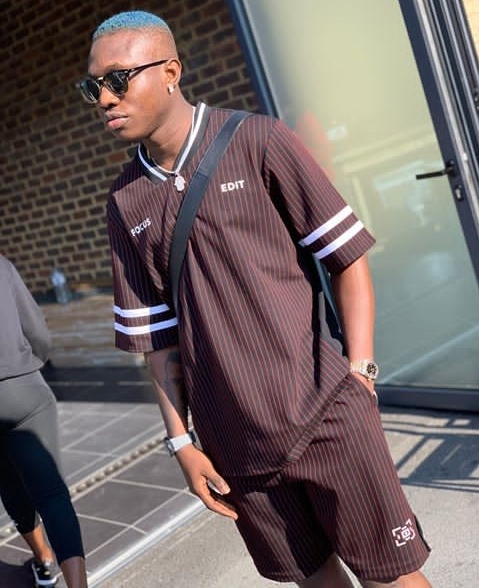 Zlatan Ibile was reported to have seen raw talent in a young boy called Segun Wire. He withdrew his supports after he was attacked by hoodlums related to Segun Wire's family. The boy's family didn't want any help for the boy as they would rather have him on streets begging and extorting money from people than shaping a good future for himself in a studio. The Nigerian Music Industry has grown massively over the years. It is considered to be the most popular and lucrative Music Industry in Africa thanks to the pure talents and investors we have. We all know these musicians pull a whole lot of money off their music. When a musician becomes popular or breaks into the Music Industry, he starts earning hugely. A lot of money is been made alongside the various hits been made by these artists. Their earnings and net worth depends on how active and relevant they are in the industry. Some of them are also good Entrepreneurs and investors and make additional money. Davido is a very popular Nigerian singer. He sure has a lot of money and most times brag about that. He loves luxury and lives large like most very rich guy do. Besides from his personal money, he comes from a very rich and popular family, The Adeleke Family. 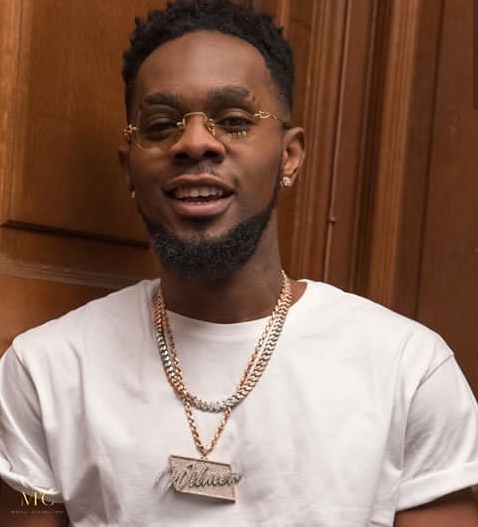 He was born in Georgia, USA on November 1992 but is based in Nigeria and has carved his name boldly as one of the richest and relevant musicians in Africa. Young Davido broke into the industry in 2012 after the release of "Dami Duro" which was the lead single off his debut studio album "Omo Baba Olowo". He is currently the richest musician in Nigeria and also among the Top 10 richest musicians in Africa. He makes a lot of cash from shows bookings, music streaming and sales. 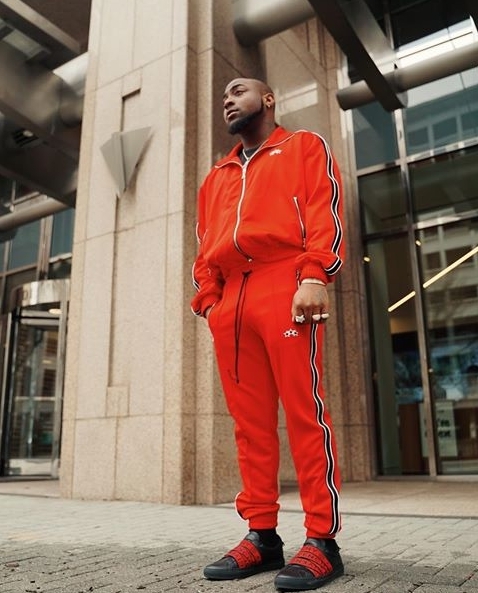 Davido net worth 2019 is estimated at around $20 million. Wizkid is another musician who is so loved and has big international influence. He has stayed relevant over the years alongside his never disappointing hits that puts everyone on the dance mood. He is one of the most prominent and bankable artists in Africa. Wizkid started recording when he was 11 years old and managed to release a collaborative album with the Glorious Five Group. He was born on July, 1990. The 29 years old singer has lots of endorsement deals he is signed to. Wizkid also has lucrative deals with Ciroc and Nike which have proved to be a worthy endorsement deal. 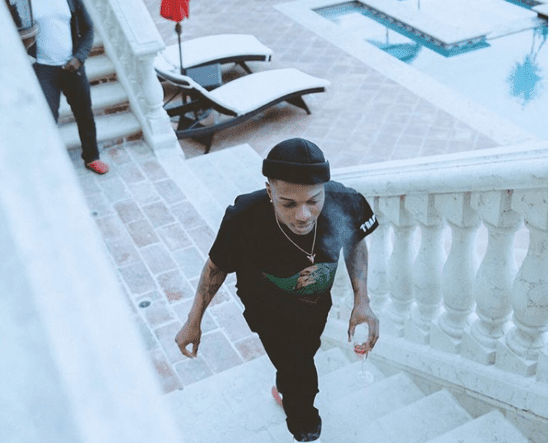 Young Wizkid broke into the music scene back in 2011 with the single "Holla at your Boy" after he was signed to Banky W's Empire Mates Entertainment. He sold out the 02 Arena in the UK which is an incredible feat that has been achieved by only few artists. Davido is the latest to have sold out the popular 02 Arena and we are glad to have these two artists achieving great heights in the industry. 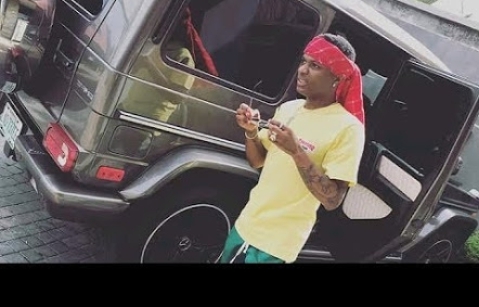 Wizkid net worth 2019 is estimated at about $19.5 million. Don Jazzy is a Nigerian record producer, singer, songwriter and Entrepreneur. He is also among the richest musicians in Africa. Don Jazzy is not only known for his wealth but also the artists he has raised to the limelight in Nigerian Music Industry. He is the founder of Mavins Records, a record label that has many artists signed to it. He also promotes his music acts personally whenever they make new release, showing the awesome relationship he shares with his signees. In 2004, Don Jazzy co-founded Mo'hits records which is now defunct. The label was popular and active at that time until it's closure making the artists in the record label to take different sales. It was after it's closure that Don Jazzy set up the Mavins Records in 2012. 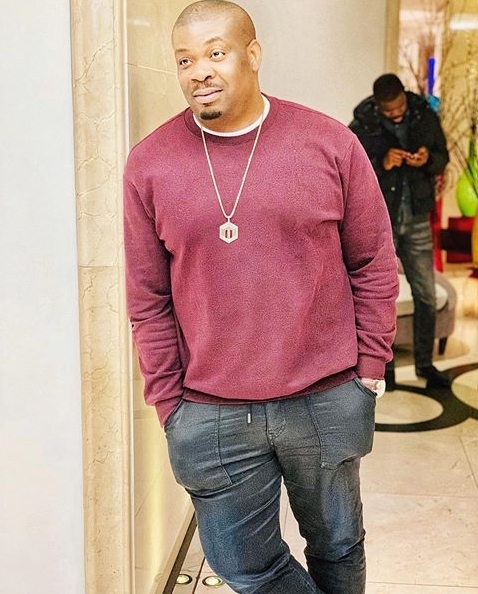 Don Jazzy net worth 2019 is valued at around $17 million. 2Baba is among the greatest and most valued artists to come out of Africa. He has received a lot of credits and Awards for the huge contributions he has made to the rise of music in Africa. He is the owner of Hypertek Entertainment. 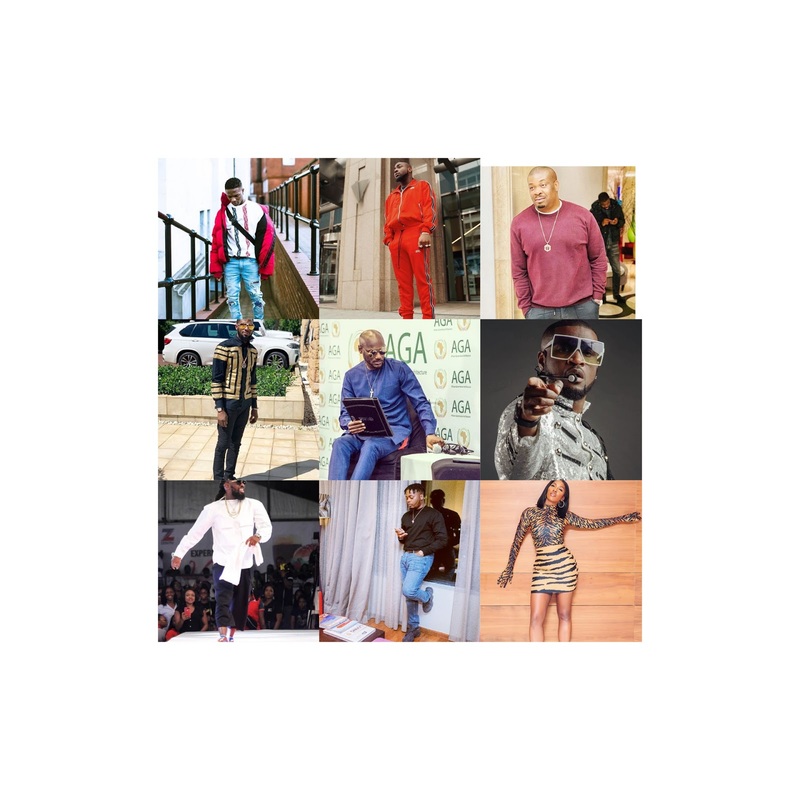 2baba is a very popular musician and businessman that has been active for a very long time. He started his music career officially in 2006. The talented artist was among the former trio group called "Plantashun Boiz". The Plantashun Boiz at that time made waves and was popular until they got separated and went solo. The group included 2face Idibia, Faze and Blackface. He was born on September 1975 and his birth name is Innocent Ujah Idibia. 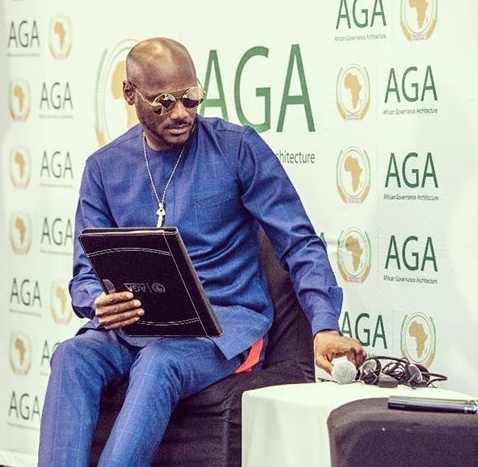 2Baba is into real estate which is a very lucrative business. He owns a record label and also makes a lot of money from shows bookings. 2Baba net worth 2019 is estimated at around $16 million. 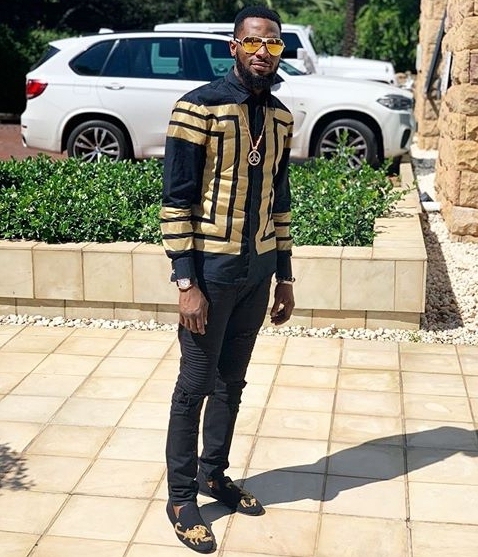 D'banj is the fifth richest musician in Nigeria. He is a renowned singer, songwriter and Entrepreneur. He was born in June, 1980 in Zaria, Kaduna State. His real name is Oladapo Daniel Oyebanjo. He was the co-founder of Mo'hits together with Don Jazzy in 2004. 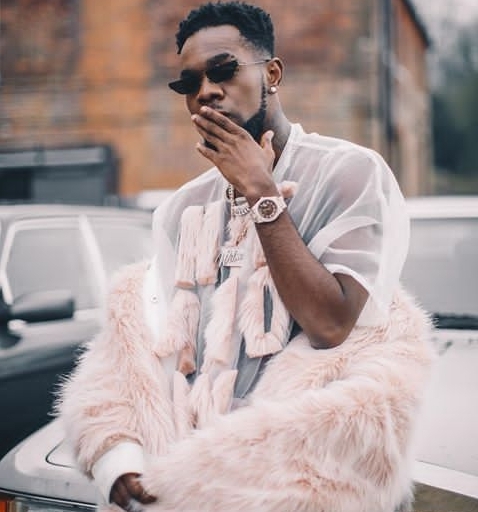 D'banj is very wealthy and has lots of investments as an artist that has been relevant in the industry for long should. He has won several music awards from different organizers over the years of constant thrilling with hit songs. His stage name was adopted from the combination of his first name, Dapo and his surname, Oyebanjo. His 2012 hit single "Oliver Twist" was a tremendous elevation. The song topped the African charts in 2011 and was on top 10 in the UK singles chart in 2012 and reached number 2 on the UK R&B chart. D'banj has lots of endorsement deals and is the owner of DB records. He is also associated with some international record labels like GOOD Music (owned by American rapper Kanye West), Sony Music and RCA. 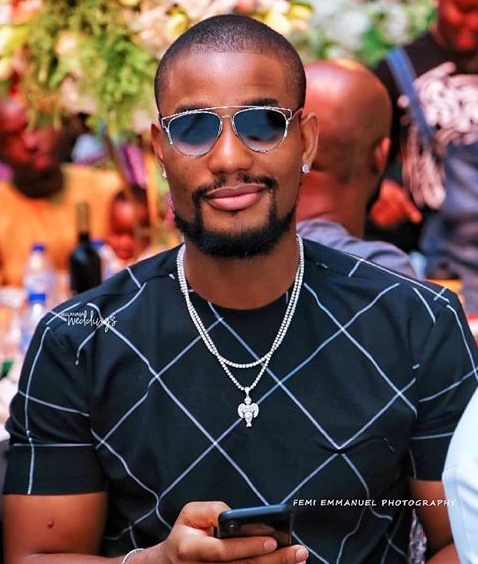 D'banj net worth 2019 is estimated at around $15 million. 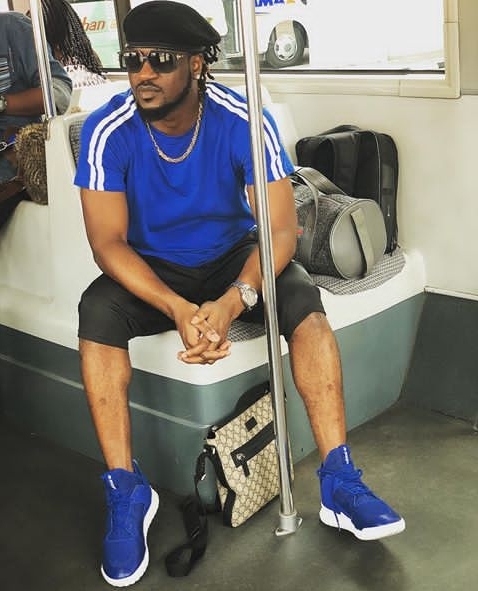 Though the P-square brothers are long separated, they can't still be away from the list of richest musicians in Nigeria. They were known together as P-square and had lots of fans after winning everyones heart with their good music. Unfortunately, they both had to go separate ways and be on solo careers as they couldn't work together anymore. The reason for this rift is still unclear. 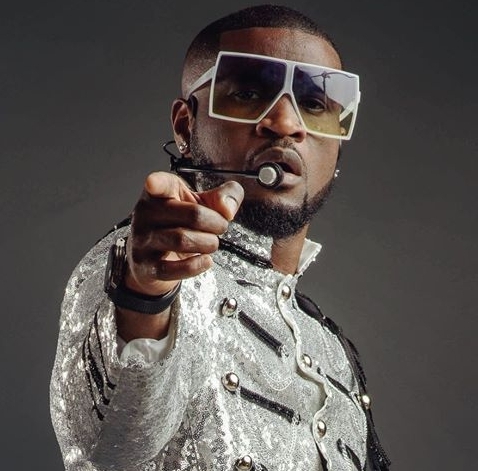 Peter Okoye goes by the stage name Mr P while his brother Paul Okoye goes by the name King Rudy or Rudeboy. Anyways, they are not doing bad but fans still prefer the old P-square for sure, but looks like we are not gonna get it. Mr P and Rudeboy earn a lot of money as they still have their talent and popularity. They make money off shows and music sales. Peter Okoye and Paul Okoye net worth are estimated around $13 million each. Timaya is a popular singer and songwriter. His real name is Enitimi Alfred Odom and was born on August 1980. He broke into the industry with the release of the single "Dem Mama" in 2005 that topped charts and received numerous radioplays. Timaya grew up in Porthacourt and was the youngest of fifteen children in Agip Estate. He always refers the hardship he endured at the early stages of his life in his music. He has released lots of songs and albums and also received a good number of awards for his creativity and hard work. Timaya has been present and active since 2005. He makes a lot of money from his music, no doubt. The singer is also a businessman and has lots of investments that places him on top earners list. 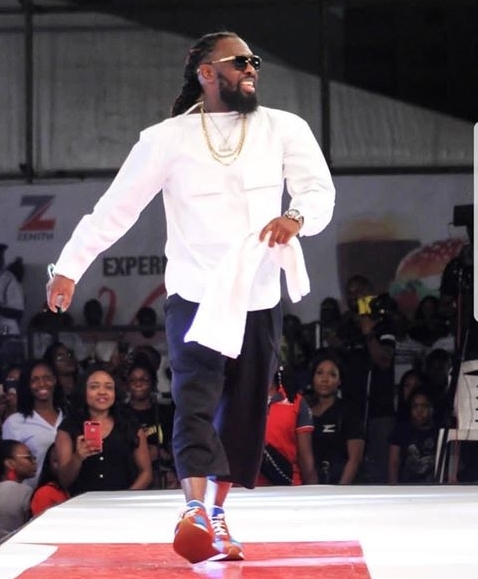 Timaya net worth 2019 is estimated at around $12.5 million. Olamide is one of the most popular street rappers in Africa. He is also a popular singer, songwriter and Businessman. Olamide is the owner of the record label, YBNL Nation. He is another artist that is so capable of making us dance. His style of music is unique and it is a result of hardwork and creativity. The 30 years old rapper was born in Bariga, Lagos State. Olamide records mostly with the Yoruba language. The rapper makes a lot of cash from his music sales, YouTube and other investments. He is the elder brother of Nigerian DJ, DJ Enimoney. Before setting up his own record label, YBNL Nation, he was signed to ID Cabasa's Coded Tunes. He released his first single "Eni Duro" in 2010 under the label. 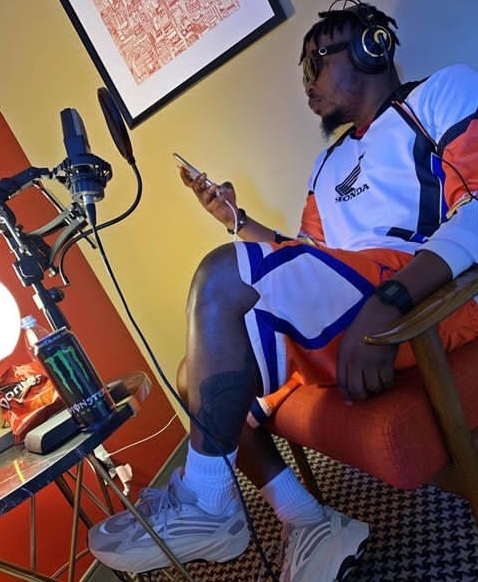 Olamide after few successful years at Coded Tunes was reported to have signed with DB records but he debunked the report and said that it is too late for anyone to sign him. He then set up YBNL Nation, which is a record label that helped so many artists that we know today break into the industry. 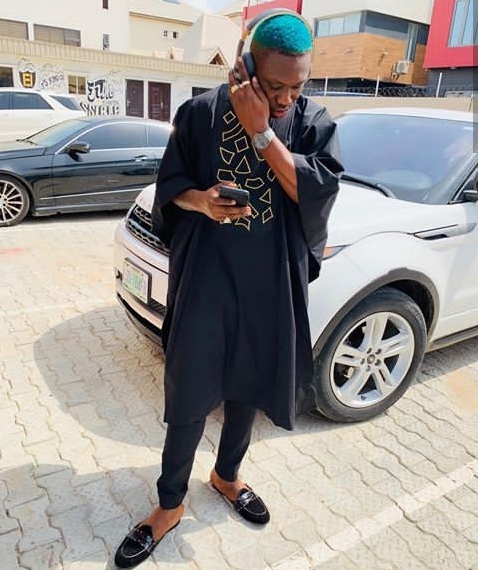 Olamide net worth 2019 is estimated at around $11 million. Flavour N'abania is a very popular musician who sings majorly with the Igbo language and a mixture of little English and Pidgin. 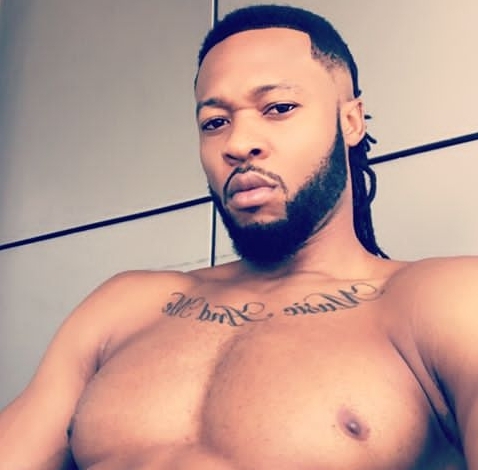 Flavour has made a lot of money from his years of activity as a musician. His real name is Chinedu Okoli. He was born on 23 November, 1983 in Anambra State. Flavour started his career as a drummer in a local church. Flavour started out in 2005 with the debut album "N'abania". His second studio album on 2010 really made him one of the most sought artists in Africa. The album consisted of great hits which propelled him further. Flavour is currently signed to 2nite Entertainment. He is very rich and has other businesses he runs. The sales of his music and show bookings are main source of income. Flavour net worth 2019 is estimated at around $8.7 million. Tiwatope Savage Balogun is a Nigerian singer ,songwriter, performer and actress. She is known by her stage name Tiwa Savage. Tiwa was born on 5th February, 1980. She is considered to be the queen of Nigerian music and also among the few female Nigerian artists that are dominating. She is signed to Mavins records, a record label owned by Don Jazzy. Tiwa Savage also has a songwriting deal with Sony/ATV Music publishing. She is very popular and has huge fans who cherish her music so much. While Tiwa Savage was attending high school in London, she was a trombone player. She is a very good songwriter and has received songwriting credits for her contributions to Monica's Soul Tinged ballad "Catch Me". She makes a whole lot from her music. She is considered to be the richest female musician in Nigeria. Tiwa Savage net worth 2019 is estimated at $9 million. The above listed artists are the top 10 richest artists in Nigeria. They make a whole lot of money and are also very active in the Music Industry. Most of them are also globally known. The likes of Wizkid, Davido, D'banj, 2Baba, Tiwa Savage receive a wide range of global attention. Olamide is such a big force in the Nigerian Music Industry. The musician is proclaimed to be the street king by most people. Wanna know how much Olamide is worth?, the rapper has an estimated net worth of $7 million. He has a record label, YBNL nation and also charges huge for shows bookings. 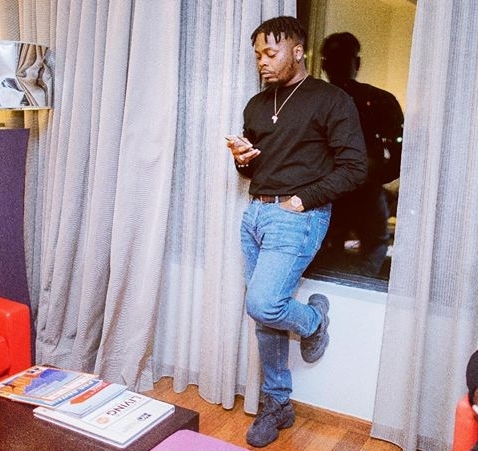 Olamide makes a lot of money from his music sales, YouTube and other solid investments. 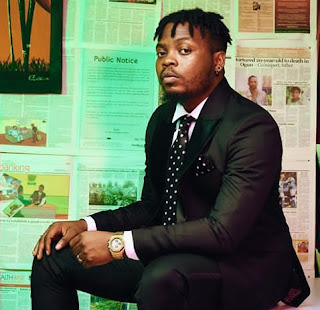 Olamide was born on March 13, 1989. He is currently 30 years old. Olamide is a popular rapper, singer, songwriter and businessman. He is popularly known by his stage name Olamide or Baddosneh but his real name is Olamide Adedeji. He was born on the 15th of March, 1989 in Bariga, Lagos State, Nigeria. He records his songs mostly in Yoruba language. Olamide had his education in Lagos State. He studied Mass Communications at Tai Solarin University of Education. Olamide chose to take up music as a career in 2000. Speaking on this, his reasons was " I found out that I was gifted in it so I had to explore it. It's my life, my hustle, my world". His music career started officially when he got signed to ID Cabasa's Coded tunes record label. He was managed by Toni Payne. In 2012, he left the record label and set up YBNL Nation, a record label that has helped many artists to limelight. He had great time at his former label as he released hit singles that topped different radio stations. Olamide released the single "Eni Duro" in 2010 under Coded Tunes. The song brought him to limelight after receiving lots of attention. "Eni Duro" was the lead single for his studio album titled "Rhapsodi" which was also released under Coded Tunes. His debut album was a big project for him and featured some top musical acts like Wizkid , ID Cabasa, 9ice, Reminisce and D'banj. After his first album, Rhapsodi, he released his second album titled "YBNL" on November 2012. The production credit of the album goes to Tyrone, Samklef, 2Kriss, Pheelz and ID Cabasa. Fellow popular music colleagues like Davido , Tiwa Savage, Dammy Krane, Kayswitch, Minus 2, Reminisce, Backwylls and Base One were guest appearances on the album 'YBNL'. Hit tracks from the album included; Ilefo Illuminati, First of all, Stupid love and Voice of the Street. Olamide in 2013 was reported to have signed with DB Records. He debunked the reports via Twitter and also on interview with Toolz on Ndani TV's The Juice, he said that it is too late for anyone to sign him. 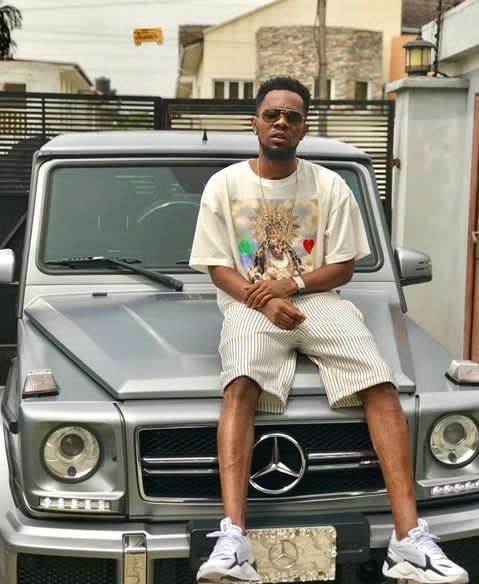 Olamide features mostly Phyno in his songs. Phyno is considered to be the best Igbo rapper and best Collabo mate of Olamide as they have made huge hits off their collaborations. He has been a mentor and a guardian to some artists who are now forces in the Nigerian Music Industry. He signed artists and gave them opportunities to prove themselves which they did. Olamide is not only a unique musicians but also a star maker. Olamide also has endorsement deals he had signed previously that brought him so much money. He signed an endorsement deal worth 30 million Naira with Ciroc in 2013. He also became the ambassador for Guinness after signing a deal that was worth around 80 million Naira. 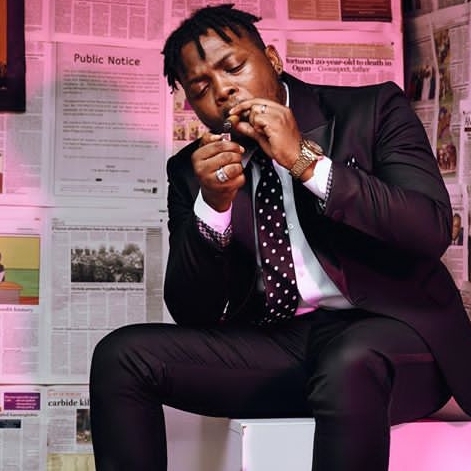 Olamide charges high for shows bookings which can range up to 5 million Naira for a show. His organized shows holds a lot of audience as his popularity and street influence plays a big role. 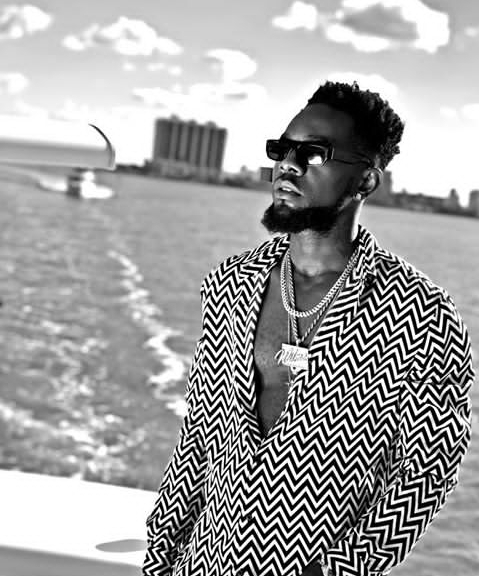 He also had a collaborative album with Phyno which was also released in 2015 titled "2 Kings". YBNL Mafia Family was released on December 2018. 2013 Nigerian Entertainment Awards - Best Collabo, Best Indigenous Artiste, Best Album of the Year, Best rap act of the Year, Music video of the Year. 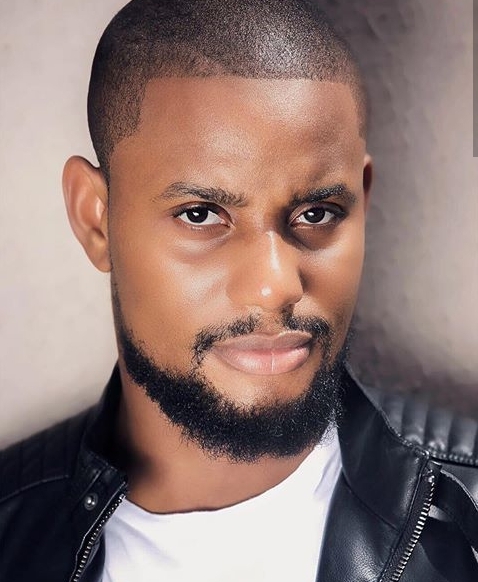 Alex Ekubo is considered to be one of the most handsome actors in Nollywood. His great acting talent and how good he interprets his roles are blissful characteristics of him alongside his good looks. He is obviously a lady's man and acts most of romantic movies. Alex is also a model and has been on many contests and also appeared on some commercials. He is popular amongst most nollywood lovers, especially the ladies for his creative acting and stunning fashion. You all will be enlightened on the handsome actor on this post. Alex Ekubo has been on many movies and is a constant actor. He has an estimated net worth of around $500,000. Alex Ekubo is a popular Nigerian actor and model. In 2010, he was the first runner up at the Mr Nigeria contest. His full name is Alex Ekubo Okwaraeke. He was born on April 1986. Alex hails from Arochukwu, Abia State in the south eastern part of Nigeria. His family is the kind that rates education above other priorities. He had his secondary education at Federal Government College Daura, Kastina State in Northern Nigerian. After his secondary school days at Federal Government College, he proceeded to the University of Calabar where he studied Law. He also got a diploma in Mass Communication from Calabar Polytechnic. Alex Ekubo first movie feature was a minor role in Lancelot Oduwa Imasuen's Sinners in the House (2005). The movie "Ladies Men" was when he had his first major role after some years later. He became the first runner up at one of the most popular contests, Mr Nigeria in 2010. He won the Best Actor in a Supporting Role award at 2010 Best Of Nollywood awards for his role in the Weekend Getaway. Alex Ekubo hails from the Igbo tribe, precisely from Arochukwu in Abia State. Most fans of Alex would definitely want to know if one of their favorite actors is married. 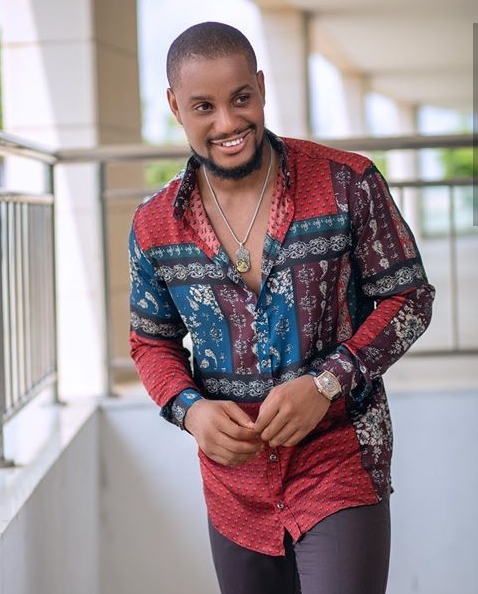 Alex Ekubo is still single although being among one of the most handsome actors in Nigeria. He had earlier revealed that he had dated someone before the Mr Nigeria contest but they both parted ways. He is surely a charming guy and might have dated few female celebrities although he claimed most of them to be false rumors. He normally says, 'I want to take the relationship slow to make sure that I don't regret my choice in the future'. 2014 Screen Nation Awards - Favorite Male Emerging Screen Talent (African). Teni has proved to be an outstanding artist in a matter of recent years. She is the sister of another popular female singer, Niniola. Both sisters are currently doing well but this post is about the younger sister, Teni. Teni had so much success in 2018 although she gained some attentions in 2017. She wrote "Like Dat", which was a huge hit for popular Nigerian singer, Davido. Teni is so loved and has lots of fans. Her music tells a lot and shows her level of talent and creativity. She has teased us with lots of hits and dear fans would also love to know more about the beautiful singer. 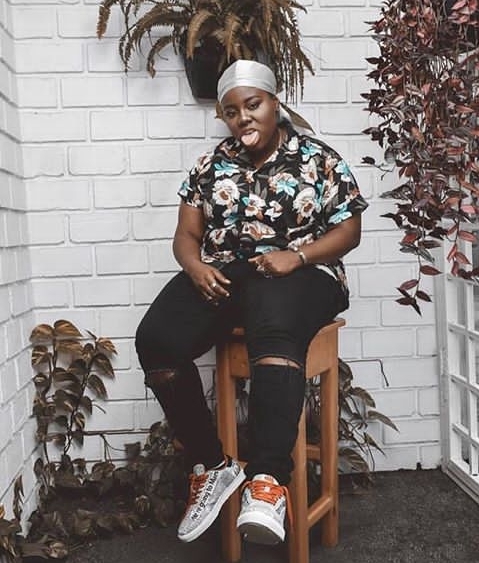 Teni has an estimated net worth of around $200,000. She officially started music few years ago. She was born on December 12, 1992. Teni will turn 27 years old in late December. Teniola Apata is a Nigerian singer, songwriter and entertainer. 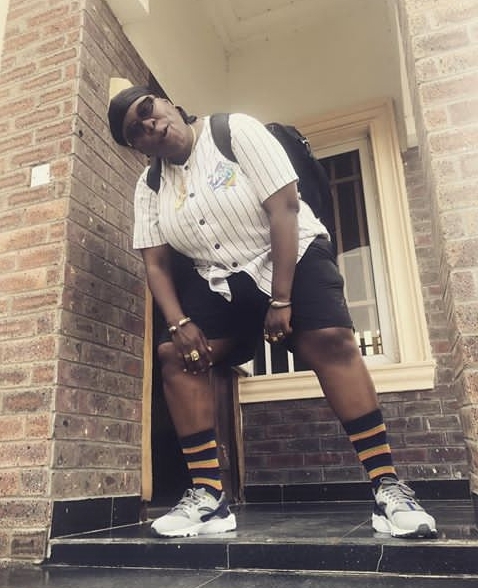 She goes by the stage name Teni, Teni the entertainer or Teni Makanaki. She was born in Lagos State, Nigeria. Teni had her secondary education at Apata Memorial High school. She proceeded to American Intercontinental University. She is very skillful and creative and has been associated with many top musical acts like Phyno , Shizzi, Niniola, Spells, Zlatan Ibile, Naira Marley, Wizkid. She is the younger sister of Nigerian beautiful singer, Niniola. She is from an education loving family and she started doing music at the early age of two. 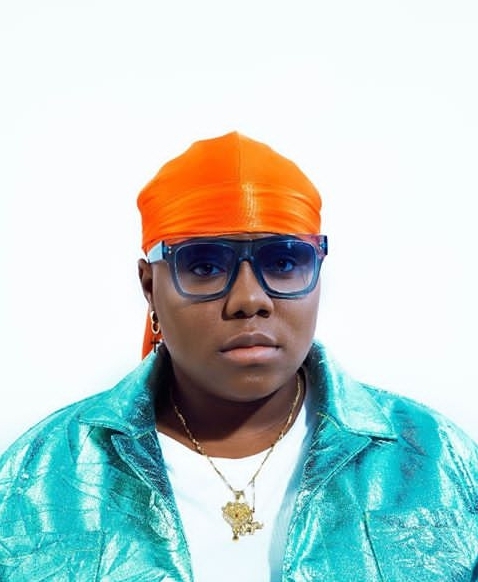 Teni started her music career officially in 2016. She released her debut single titled "Amen" after she got signed to Shizzi's record label, Magic Fingers. Shizzi is a popular Nigerian beat maker and record producer who has produced lots of hit tracks. She left Magic Fingers owned by Shizzi and signed with Dr Dolor Entertainment in 2017. She came into limelight after releasing "Fargin" which was on top charts. The song had powerful lyrics and was accepted by most people. Apart from her melodious voice, she is a powerful songwriter .She wrote Davido's hit single "Like Dat" which banged in radio plays and topped various charts. She sings mostly in Yoruba. 2018 was the breakthrough year for her as she made more hits and gained massive recognitions. Her hit singles like "Askamaya, Case, Wait, Pray, Uyo Meyo" buzzed incessantly. "Uyo Meyo" was her biggest hit as the song topped most music charts and was played almost on every occasion. Her hit single "Askamaya" got ranked 15th on MTV Base's Year-end list of the Top 20 Hottest Naija Tracks of 2018. 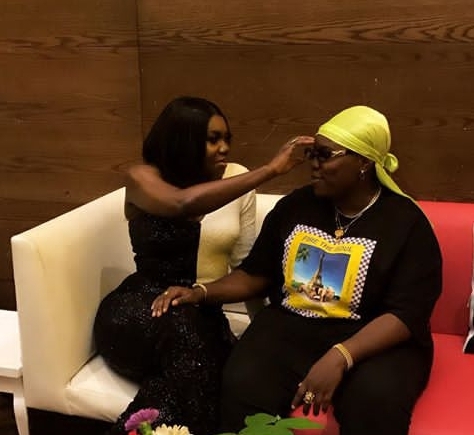 At the 2018 Headies Awards, Teni won the Rookie of the Year. She also won as Most Promising Act To Watch at 2018 Nigeria Entertainment Awards. Teni won Best New Artist 2018 SoundCity MVP Awards Festival. NotJustOk ranked her eight on their list of the 10 Hottest Artists in Nigeria. Premium Times included her among the "Six Nigerian Break Out Stars Sensations of 2018". She was also featured on YouTube music's Trending Artist on the Rise. The name 2face Idibia will always be on legendary Nigeria's musicians list. He made a whole lot of contributions to not only the Nigeria music but also Africa. 2Baba is one of the most profitable and bankable artists in Africa. He is still very relevant and his presence would anywhere be much appreciated due to the name he made for himself through his talent and hardwork. He was one of the music group trio, Plantashun Boys, which included him, Blackface and Faze. Telling from 2baba's years of being active in the Music Industry, he has definitely gained a lot. 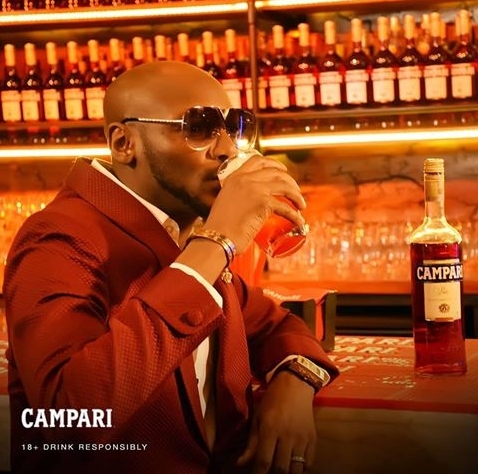 2Baba net worth is estimated at $20 million. 2Baba is into real estate and also has a record label called Hypertek Entertainment. He makes a lot of money from music sales and YouTube. Moreover, he charges huge for shows bookings. He also owns a lounge in Ikeja and Festac. 2Baba is a popular Nigerian singer, songwriter, record producer and entrepreneur. He was born in Jos, Nigeria in September 18, 1975. His real name is Innocent Ujah Idibia. His main genres are Hip Hop, AfroPop, R&B and Reggae. He was previously known as 2face Idibia until July 2014 when he got it changed to 2Baba. 2baba is said to be one of the most decorated and successful Afro Pop artists in Africa and also one of the most bankable artists in Africa. 2face Idibia is of the Idoma ethnic group in the southern part of Benue State, Nigeria. No information on his primary education but he had his secondary education at Mount Gabriel's Secondary School Makurdi in Benue State. After his secondary school days at Benue State, he moved to the Institute of Management and Technology (IMT) which is located in Enugu State where he did his preliminary National Diploma course in Business Administration and Management. 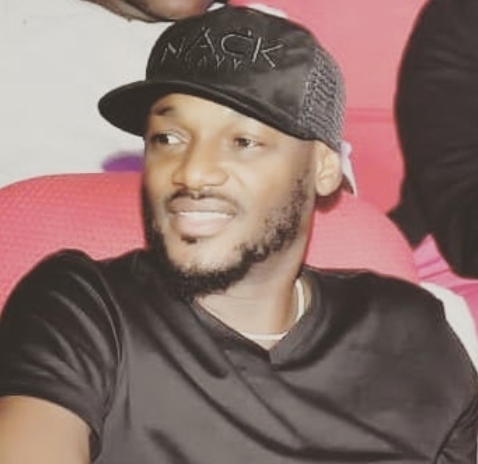 2Baba performed at organized school shows and parties in his own school and other regional schools like University of Nigeria and Enugu State University of Science and Technology while he was studying at IMT. Unfortunately, he dropped out of school because of his music ambitions. 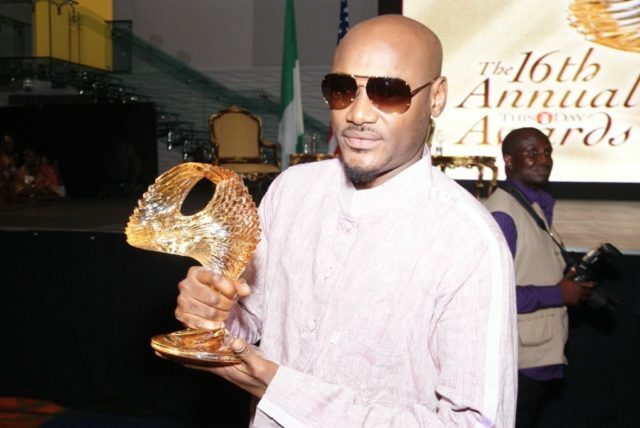 He adopted the stage name 2face (Tuface) in 1996. He said the reason for the name was him "trying to demarcate his personal life with his business life". From Enugu State, he moved to Lagos and started performing with rapper Blackface Naija. 2face and Blackface met while he was attending IMT. He formed the music group trio "Plantashun Boiz" with Faze (Chibuzor Oji) and Blackface (Ahmedu Augustine Obiabo). The Plantashun Boiz released two successful albums, Body and soul in 2000 and Sold Out in 2003 under Dove records owned by Nelson Brown. Unfortunately, the group disbanded with each artist going on solo careers. After their separation, they took on solo careers. 2baba released his debut studio album titled Face 2 Face in 2004, which established him as a viable solo artist the same year the trio group separated. Grass 2 Grace was his second studio album after Face 2 Face. It was released in 2006 and contains hits like "One love", "True love", "4 Instance". "African Queen" which was his hit single in 2006 was used in the soundtrack for the romantic comedy film, Phat Girlz, an internationally recognized movie. 2face in 2006 released a promotional album "The Unstoppable" and released the single "Enter the place". The release date for the album got shifted to early 2009 due to album distribution problems. The international edition of the album was released in 2010 with the title "The Unstoppable International Edition". He released two more singles from the international version of his unstoppable album. "The Unstoppable the international edition " won two awards at the 2010 SoundCity music video awards. MTV Africa Music Awards and Channel O music video awards awarded him for Best Male and Artist of the Year and Best African Western Award. 2face is the first non-Liberian to become an honorary member of the Liberian Music Society in recognition for his outstanding contribution to the growth of African music . He has been named Red Cross Ambassador Society of Nigeria. 2Baba and popular American rapper Jay Z met in New York City in 2014. Annie Idibia is the wife of 2face. She emerged to be the chosen one for 2baba from the rest of his children's mothers. In 2012, Tuface and Annie married in Lagos, Nigeria in a private ceremony. Their traditional marriage took place in Eket, Akwa Ibom in March 2013. Their white wedding held in Dubai shortly after the Traditional marriage. His Baby mamas are Sumbo Ajaba and Pero Adeniyi. Sumbo Ajaba had two children for 2baba while Pero had three for him. 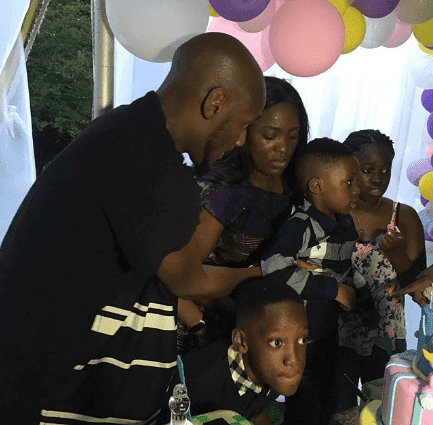 2Baba has a total of seven children from three different women. 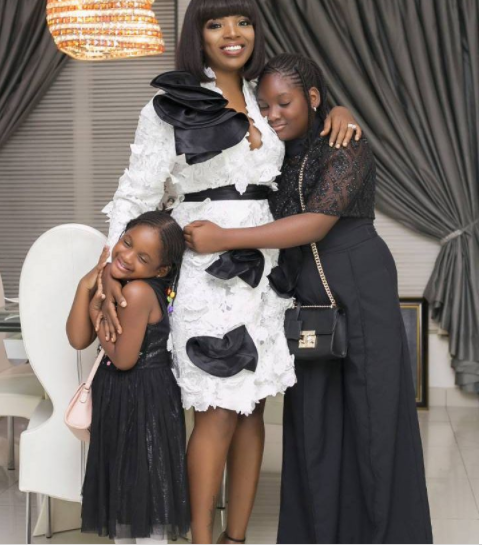 Annie Idibia gave birth to two daughters, Isabella and Olivia Idibia. 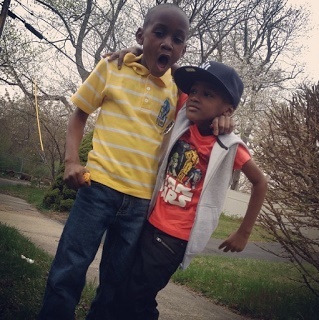 Pero Adeniyi is the mother of 2baba's three children namely "Justin, Rose and Innocent". Sumbo Ajaba gave birth to two; Nino and Zion. Most fans always have that curiosity to know the lifestyles of their favorite celebrities and how much luxuries they own. It could also serve as a motivation to the upcoming, on the need to work harder to achieve their dreams. 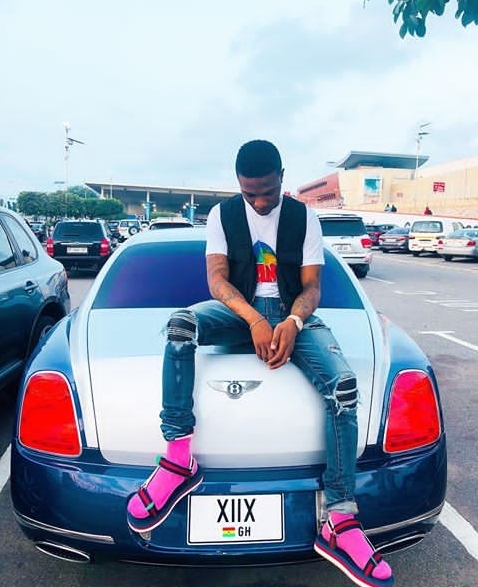 Wizkid is undoubtedly a luxurious celebrity who loves spending a lot on clothes, houses, cars and more. He is one of the richest musicians in Africa and also has a loud international recognition which started when he made a solid contribution to Drake's "One Dance". 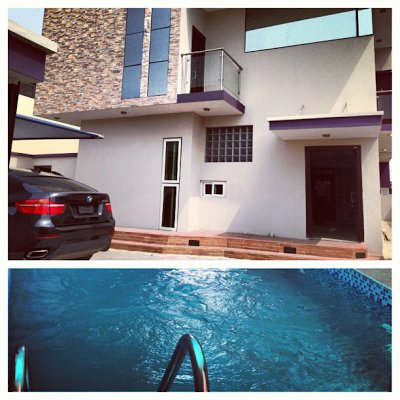 Wizkid owns a N13 million worth mansion located in Surulere, Lagos mainland. Wizkid brought the house while he was still signed to Banky W's EME. He made the purchase of the house public via twitter saying "New house! Thank u lord!! ". He also has another house in Lagos that is said to be worth around 68 million Naira. 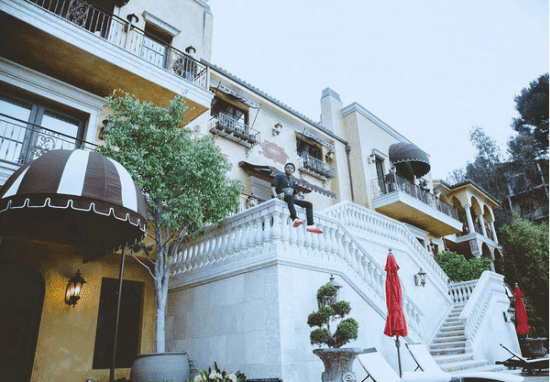 Aside from both homes in Nigeria, he has a luxurious mansion that is located in Los Angeles. 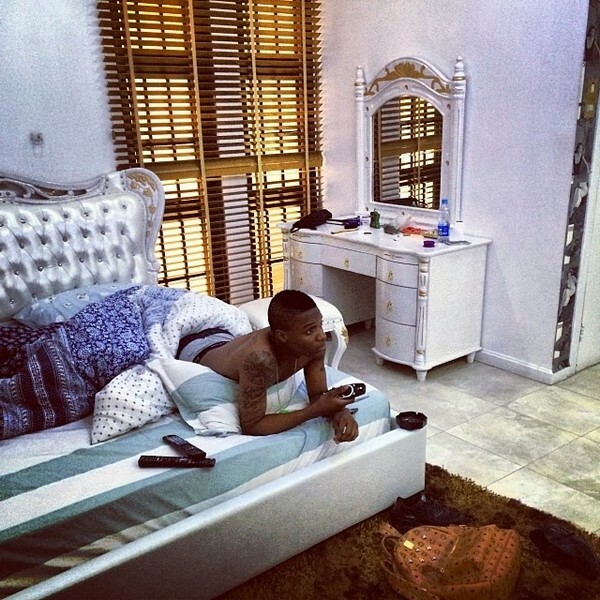 The home stands alone in a country area as Wizkid also confirmed to it via Instagram saying "Crib So Big I got no neighbors". 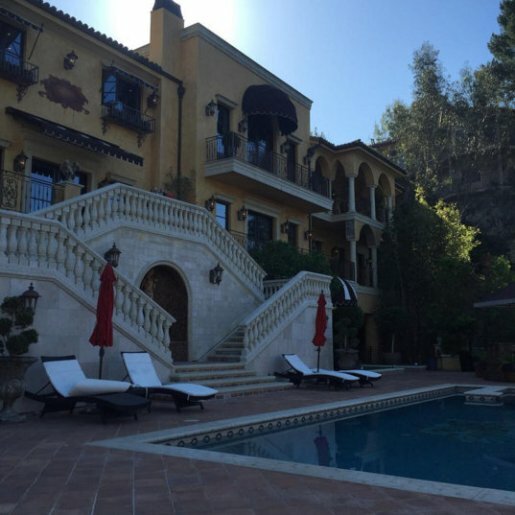 According to Nigeriafilms.com, it was revealed that an average price in the area of Wizkid's house ranges from $10 million to $15 million. Wizkid received this car as the price for winning the Next Rated Award at the Headies 2011. The car costs about 6 million Naira. 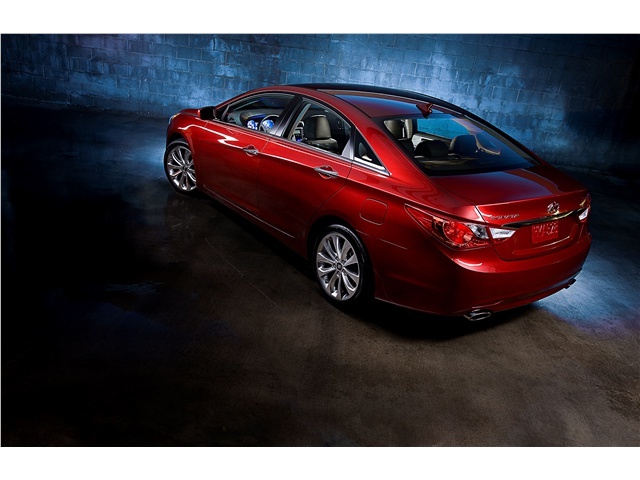 The 2012 Hyundai Sonata is a 4 door, 5 seat Sedan. This car costs around 8 million Naira. This was purchased at the price of about N10 million Naira. 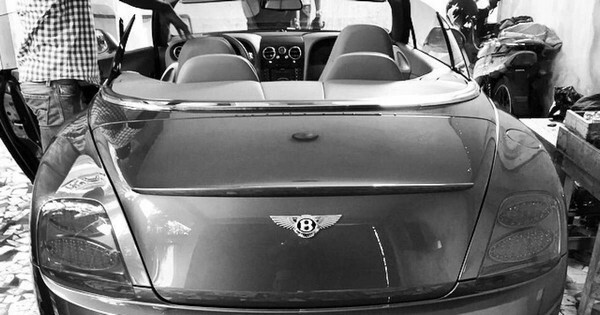 This is among the pretty collections of cars owned by Wizkid. The car is said to be worth about N18 million. Another Porsche car on the list. This one is said to be worth around N25 million. This car was the one he had an accident with some years back. The accident happened along Lekki-Epe Expressway in Lekki, Lagos. Wizkid got hospitalized after the incident for a minor concussion. 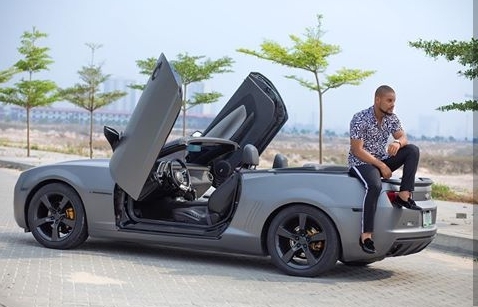 This car costed Wizkid about 50 million Naira. This car was purchased for about 11 million Naira. The G-Wagon is among the most luxurious on his collection. This car is worth around 70 - 100 million Naira. 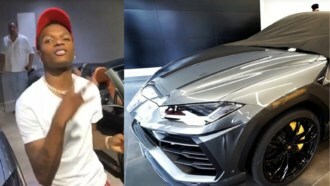 This is the latest purchase by Wizkid that was made known to the public. The car costs around 80 - 90 million Naira ($235,000 +). Wizkid started becoming prominent when he sang "Holla at your Boy" in 2010. This was the lead single in his debut album "Superstar" after Banky W signed him to EME (Empire Mates Entertainment) in 2009. His real name is Ayodeji Ibrahim Balogun but popularly known as Wizkid. He was born on July 16, 1990 in Surulere. Wizkid started recording at age 11 and even got to make an album with his then church friends, as they were known as the Glorious Five. Wizkid pointed out the likes of Naeto C as one of the people that mentored him at the age of 15. 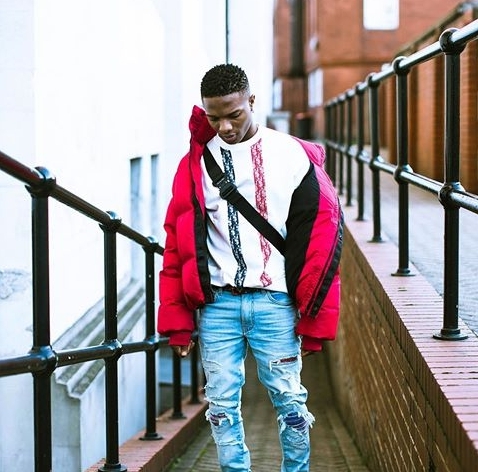 Wizkid said his parents didn't agree with his idea of music which made him to work harder in order to gain their trust. During early last year, wizkid became the first African artist to sell out the 02 Arena, UK which has a huge 20,000 capacity. 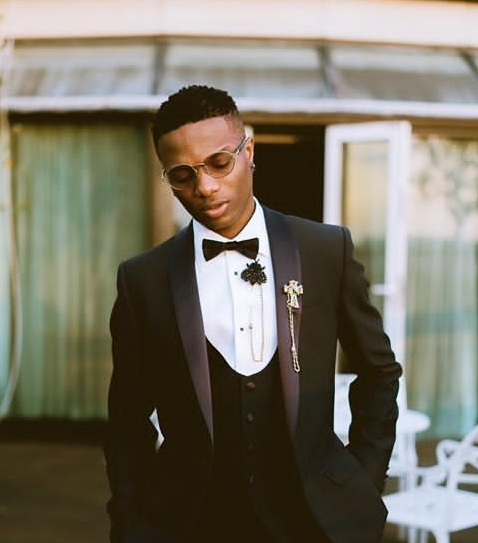 Wizkid also joined the league of highest paid artists in the world as he was called to perform at a royal wedding in India. He performed at one of the world's top private residences, Unaid Bhawan Palace in India. He was reportedly paid 50 million Rupees which equals $681,200 and N245.9 million.